I have an obsession at looking what’s in other people makeup bags. So I thought I’d share whats in mine this exact moment. 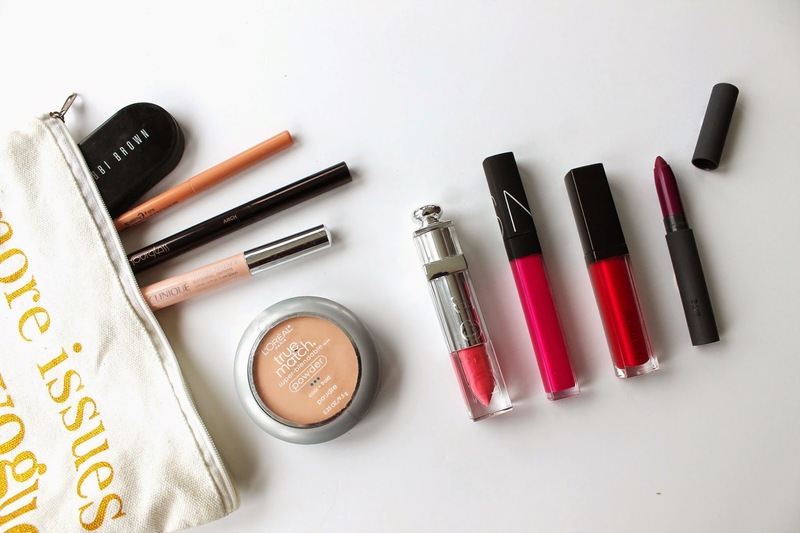 What’s in your makeup bag ?? Send me a picture and you can be featured on the blog!! Next Post 25 Days of Beauty Giveaway Announcement !!!!! I saw essie button wearing wildflower and fell in love! After seeing it in your handbag, it's official… I need it!